Zimbabwe-born boxer Dereck Chisora failed in his defence of the Commonwealth heavyweight title after losing out to Tyson Fury on points last Saturday at Wembley. Fury ripped Dereck Chisora's British and Commonwealth heavyweight titles from his grasp with the best display of his career. Chisora making his first defence of the title he annexed in September 2010 was overpowered by Fury, four years his junior in the hotly-contested bout. Chisora looked impressive in bursts and had Fury in trouble in the second. But Fury absorbed Del Boy's best shots and played to the crowd throughout the contest before being awarded the titles. Fury put the pre-fight trash talk behind him to outbox Chisora and pick up a unanimous points decision at London's Wembley Arena. Fury scored higher on the score cards of the two judges; 117-112 and 118-111. The Zimbabwe-born boxer appeared rusty allowing Fury to come at him with effective punches consistently. It was Chisora's first loss since turning professional in 2007 and it keeps him away from a potential meeting with WBO, IBF and WBA Champions, Vladimir Klitschko. The Ukrainian had openly hinted at the prospect of facing the winner of the Fury-Chisora in the not too distant future. Fury remains unbeaten in 15 fights since joining the professional rank of boxing. The duo had engaged in some bitter verbal sparring before the fight, with Fury claiming he would 'kill' Chisora inside the ring. Fury immediately apologised for taking the insults too far and the respect between the two fighters was clear to see at the final bell. 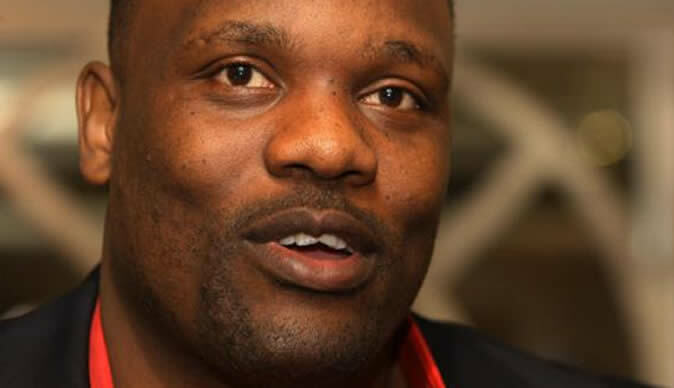 Chisora knew he had allowed the titles to slip away but he did not hesitate when it came to congratulating the new champ. And Fury wasted little time in praising the Londoner. He added: "Congratulations to Chisora because all the trash talk and bulls*** before the fight didn't mean anything in the end. "You had two warriors in there and I appreciate him coming here to fight me because a lot of people wouldn't have."